Last night I caught a play about the band Joy Division. New Dawn Fades tells the now familiar story of Curtis’ battle with epilepsy and depression against the backdrop of the band’s formation and rise during the late 70s. After 24 Hour Party People, Control and myriad books on the subject, it’s a tricky story to re-imagine. However, Michael Whittaker, as Curtis, explosively captures the tormented artist in the live vocal scenes. 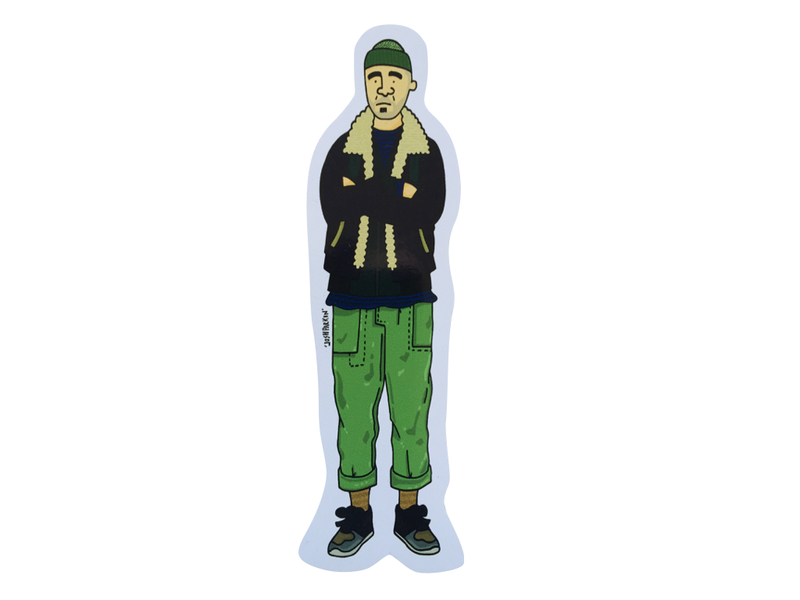 New Dawn Fades is touring the UK now, see if it’s playing near you, I strongly recommended. 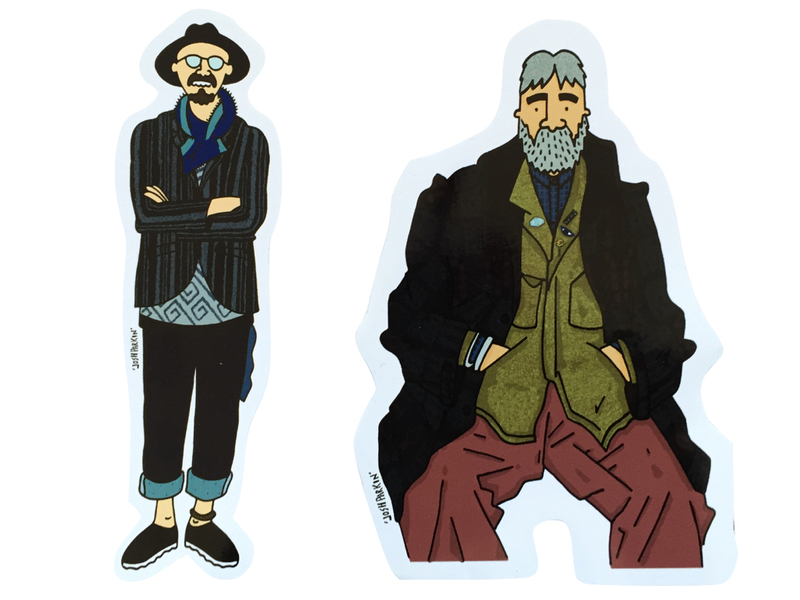 On an entirely unrelated note, I popped into Garbstore yesterday and bought these menswear stickers. 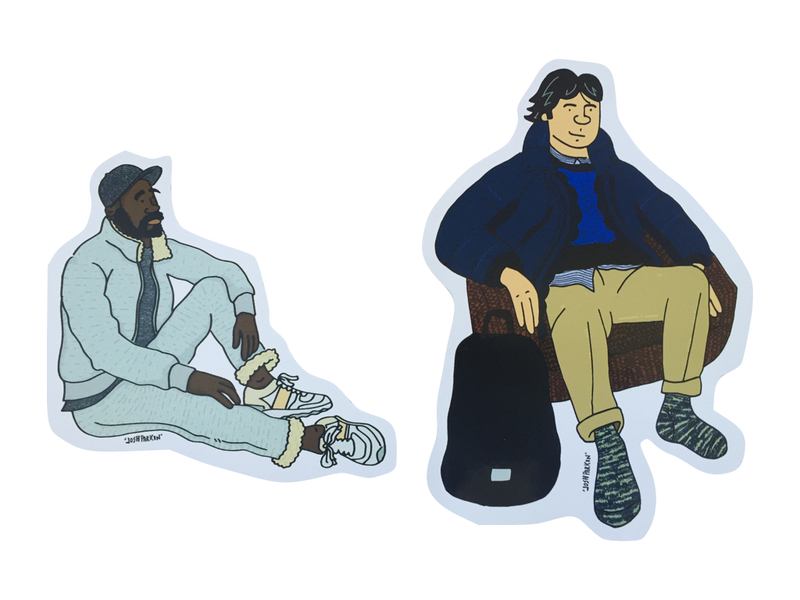 In packs of six for a fiver, they illustrate a bunch of dudes in brands hosted by Garbstore itself. 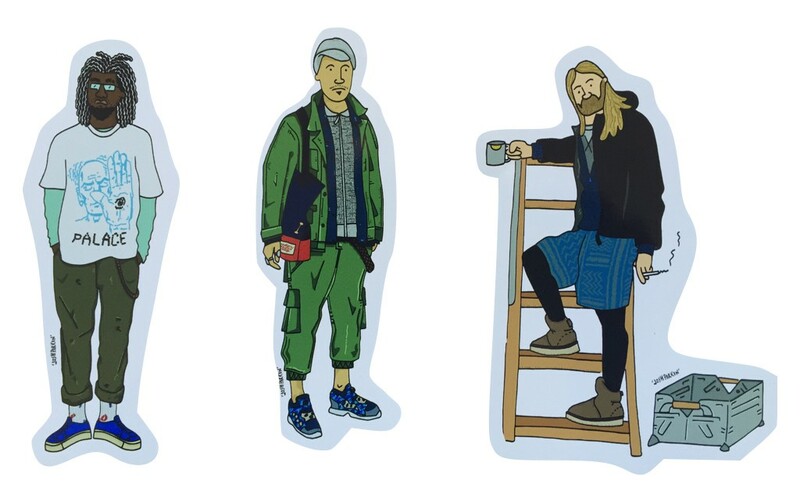 They are the work of artist Josh Parkin and judging by the cartoon of Engineered Garments’ head boy Daiki Suzuki on his site, Josh is no stranger to the allure of gentleman’s accoutrements. Fine work. 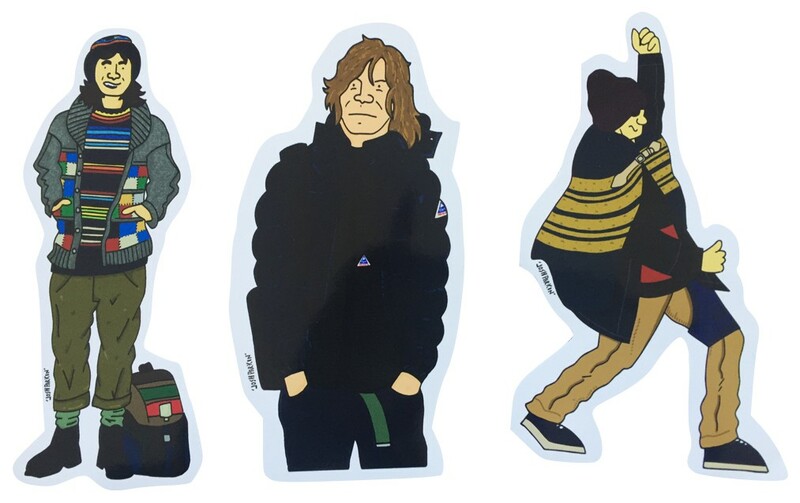 They’re perfect for bejewelling a laptop. The only problem is that they’re not sold on the Garbstore site, they appear to be an in-store purchase only. Still, you never know, if you gave them a ring, they might flog you a couple of packs over the phone. The brands featured include: Norse Projects, Mountain Research, Chamula, Rulezpeeps, Cape Heights, Palace, Snow Peak, Sanca, Blue Blue Japan, Engineered Garments and Garbstore’s in-house label. But it doesn’t tell you on each sticker which one is which brand. Can you work it out? I’m off to see this at the dance house in Manchester on the 15th of April,glad to hear you enjoyed it. They better flog me some over the phone or there will be hell on!